About: University Institute of Information Technology Himachal Pradesh University Common Entrance Test (UIIT HPU CET) is a university level entrance examination conducted by UIIT (University Institute of Information Technology) & HPU (Himachal Pradesh University), to allow the applying candidates to apply for engineering. Courses Offered: UIIT HPU CET 2019 offers admission in undergraduate engineering courses offered at University Institute of Information Technology, Shimla. Level: UIIT HPU CET 2019 is a university level entrance examination. Seats: 83 seats will be offered in total for the admission in undergraduate engineering courses offered at the University Institute of Information Technology, Shimla. Examination: UIIT HPU CET 2019 will be conducted through offline i.e. Pen & Paper-based Test (PPT) on 10th June 2019. Results: Result will be declared on the official website on 25th June 2019. Counselling: Candidates who have cleared the UIIT HPU CET 2019 will be called for the counselling process which will be held on 5th July 2019. Lateral Entry: Candidates should have passed diploma of 3 years in IT or CSE or ECE (after 10+2 or Matriculation) preferably from Himachal Pradesh State Board of Technical Education or equivalent with a minimum of 60% marks from institute preferably located in H.P. NRI: In case of candidates studying in University/ Board/ College or School in a foreign country, the eligibility/ qualifying examination will be the same as recognized equivalent to 10+2 by the University or the Association of Indian Universities with 50% marks in three subjects for SC/ST candidates, eligibility will be 45% marks or equivalent grades. Age Limit: The candidate should not be, more than twenty-two years (22 years) in age as on 1st July of the year of admission. Note: The admission of eligible foreign students shall be conducted strictly as per the guidelines of the H.P. University, Shimla. Syllabus: Syllabus of UIIT HPU CET 2019 gives candidates clarity on the topics and units from where questions were asked in the question paper. Topics: UIIT HPU CET 2019 Syllabus includes units and topics from Physics, Chemistry and Mathematics. Questions: The question paper will contain 200 Multiple Choice Question's (MCQ's) for a duration of 2 Hours i.e. 120 Minutes (Each Paper). Exam Cities: The cities where UIIT HPU CET is conducted are Shimla, Dharamshala, Chandigarh, Delhi. Separate Admit Card: No separate Admit Card will be issued to the candidates from UIIT. Note: Admit Cards for appearing in the entrance examination will be generated online only, to those candidates who have submitted their online Application Forms complete in all respect before or by the last date as notified by the University. Result Date: UIIT HPU CET 2019 Result will be declared on the official website on 25th June 2019. Tie-Break: In case of a tie i.e. student obtaining equal marks (aggregate) in the competitive examination, the issue shall be resolved according to higher marks obtained by the candidate in Paper-I of entrance test followed by marks obtained in Paper-II. Even if there is a tie in inter-se ranking after exhausting the above procedure, then the candidate older in age will be given preference. Announcement: Dates of counseling and the list of candidates eligible to attend counseling will be displayed on UIIT website www.hpuiitshimla.org or www.uiit.ac.in. Counselling Date: Candidates who have cleared the UIIT HPU CET 2019 will be called for the counselling process which will be held on 5th July 2019. Final Merit List: Final Merit will be decided only for those candidates who will appear for counseling in person as per counseling schedule. Appearance: In case of unavoidable circumstances, the candidates who will not be able to appear in person, may depute an authorized person to convey his/her consent for the course, i.e. B. Tech. IT and CSE, with a letter of authority or intimate in writing his/her refusal for joining the said course, failing which the merit of the candidate will be canceled. Note: If the candidate is unable to produce/ bring original certificates at the time of counseling, his/her candidature will be rejected there and then by the committee constituted for counseling for B. Tech. (IT/ CSE) course without any notice. All disputes are subject to Judicial Courts in Shimla. Summer Hill, Shimla - 171005. Application form: The UIIT HPU CET 2019 application forms will be available from 15th April 2019 to 15th May 2019. Admit Card: The UIIT HPU CET 2019 Admit cards will be available on 20th May 2019. Exam date: The UIIT HPU CET2019 exam will be held on the 10th June 2019. Result date: The UIIT HPU CET2019 results will be published on 25th June 2019. Counselling date: The UIIT HPU CET 2019 counselling process will be on 5th July 2019. Age limit: The candidates should be 22 years of age as on 1st July of admission to satisfy criteria 2019. Qualification: The candidates should have passed their 10+2 examination with Physics, Chemistry and Mathematics from a recognized Board or University of Jammu and Kashmir. Aggregate: Candidates should have scored a minimum of 50% marks in Physics, Chemistry and Mathematics (40% of the SC/ST candidates). Reservation of seats: Candidates have to upload an attested copy of their reservation category certificate. The seats will be allotted on the basis of merit. Only UIIT HPU CET candidates will be considered for allotment of seats. Official Site: The candidate has to login to the official website and clicks on the Register Now to Create New Account. Details: The candidate has to fill in their personal details, educational details, etc. Upload Documents: The candidate has to re-check the details and upload a recent passport size photograph and signature. Payment: Finally, the candidates have to submit the form and pay the fees by Using either Online payments like Credit Card or Debit Card or Net Banking and Offline Payments by downloading the generated challan. Date: The UIIT HPU CET 2019 application forms will be available on 15th April 2019. Procedure: The UIIT HPU CET application forms will be available online only. The application fee is INR 1000. The application fees can be paid using debit/credit card or net banking or by challan from any bank. Important dates: The UIIT HPU CET application forms will be available from April 2019 until May 2019. The test centre will be allotted on May 2019. The admit card can be downloaded on May2019. The UIIT HPU CET examination will be held in the month of June 2019. The UIIT HPU CET results will be declared in the month of June 25th June 2019. Date: The UIIT HPU CET 2019 admit card can be downloaded from the official website 20th May 2019. Details: The UIIT HPU CET 2019 admit card will have the following details namely Name, Adress, State of residence, photo and signature, date, time and venue. The admit card is a mandatory document and all the details have to be correct and clear. The candidate has to paste a recent Passport sized color photograph on admit card. The admit card needs to be handed over to the Invigilator of the respected exam center when it is required for some process. Any plagiarism or Tampering will lead to disqualifying and serious consequences. Exam mode: The UIIT HPU CET exam is both Online and offline exam. Number of papers: There will be two papers one is Physics and Mathematics Other set is Aptitude, IT Related GK and English. Paper A: This paper consists of questions from Physics and Mathematics. There will be 50 questions from each section. Paper B: This paper consists of questions from Aptitude Test with Logical Reasoning, IT related to GK and English. There will be 40 questions from Aptitude and IT respectively and 20 questions from English section. Number of questions: There will be a total of 200 questions. Duration: The exam will be for a duration of 4 hours where each section papers will be having a time limit of 2 hours each. Tye of questions: The UIIT HPU CET exam will consist of Multiple choice questions. Exam medium: The UIIT HPU CET exam will be in English. Physics: The concepts are Unit and dimensions, Displacement, Velocity, Acceleration, Kinematics in one and two dimensions, Projectiles, Circular motion, Concept of relative motion, Newton’s laws of motion, Force, spring force, frictional force, and gravitational force Work and energy and power. Mathematics: The Concepts are Algebra of complex numbers, Modulus and argument, triangle inequality, Theory of quadratic equations and quadratic expressions, Arithmetic, geometric and harmonic progression, Infinite geometric series, Sums of the squares and cubes of the first n natural number, Mathematical induction, Permutations and combinations and Binomial theorem for a positive integral index. Aptitude Test: This will consist of analytical and logical reasoning. General Knowledge: This will consist of General Knowledge related to Information Technology. English: This will consist of English (language) to test the communication skills of candidates. Results: The candidate can check their results by going to the official website of UIIT HPU CET on 25th June 2019. Details: The Candidate needs Log-In for his account by giving all credentials like Name, Roll Number and etc to check their results. Official Website: Go to the official website of UIIT HPU CET 2019. Check Results: Click on the “Submit” button to view the results. Merit List: After the declaration of UIIT HPU CET 2019 results, the merit list is prepared on the basis of the performance in the UIIT HPU CET exam conducted. In accordance with the UIIT HPU CET results in the merit list. Counselling Date: The counselling process will be scheduled on 5th July 2019. Number of Seats Available: There are 60 seats are provided for desiring candidates. Please go through the list of required documents, which is mandatory to carry in the counselling process. 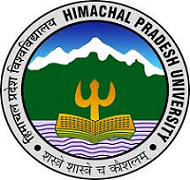 Domicile Certificate: The candidate who has satisfied eligibility criteria of UIIT HPU CET 2019 needs to give Domicile certificate and this is only for Himachal Pradesh students. Marks Sheet: The candidate needs to give their Result Sheet while been for counselling. Age Proof: The candidate can give any government Certified Identity Card to show their Correct Age. AAdhar Card: The candidate has to submit the Aadhar card or any other Identity Proof. What should i pursue for better jobs? Hi I am Karun, I want to ask, which short term course should I pursue to get better jobs?